At Alpine Landscape and Lawn Care, we have designed a program that uses granular slow release fertilizers to keep your lawn looking its best. Your lawn specialist is the owner and has over 30 years of experience. Those years of experience help to implement spot treatments of weeds, which reduces the use of chemicals in the environment. Having the training and emphasis to use integrated pest management is what makes our programs unique to the Fenton area. Early Summer fertilizer to improve drought tolerance. Liquid Weed Control spot treatment to control late germinating weeds. Preventative Grub Control- is applied on the 3rd visit before August 1st. Preventative Grub Control will help avoid turf damage occurring in late summer early fall. Signs of damage range from turf pulling up easily, to damage from animals digging up the turf feeding on grubs. Late summer Fertilizer application to keep grass vigorous to squeeze out weeds. Early Fall Fertilizer to promote good color and treat Liquid Weed Control for weeds. Winterizer Fertilizer Application with high Potassium content to promote healthy root growth and early spring green up. Soil cores pulled on to the surface of the lawn will act as a top dressing. This topdressing helps microbes to break down thatch. The holes also help introduce oxygen to the soil and alleviate compaction in the lawn. Some research has shown a 25% reduction of water use on lawns that have been aerated. There are many types of seeding, we are able to evaluate and make a recommendation based on your particular needs. Getting good soil contact and water are the most important needs. The right kind of follow up Fertilizer is what guarantees great results of seeding. This program treats moles with a bait to kill them. If our technician sees mole activity at any time, they will treat at no charge. Granular surface insect controls applied in areas that dog’s or cat’s occupy in your lawn to reduce these pests. Three visits a year will reduce these pest populations and prevent these annoying insects from attaching to your pest. This program reduces the weeds and grasses in your landscape mulch and stone beds. The program also reduces weeds and grasses in sidewalks, Curbs, and parking lots. Insecticides applied to the foundation of your home or business. Both liquid and granular insecticides applied ensure the reduction of most insect and spider pests. 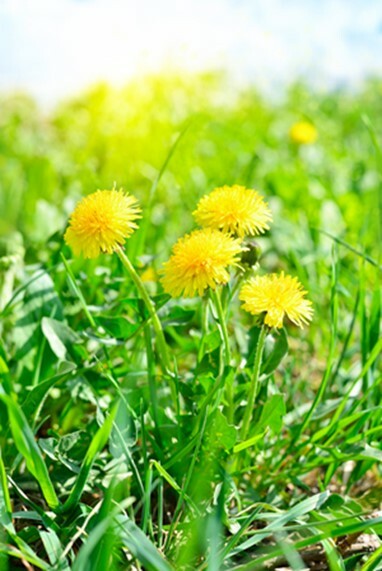 We commonly apply three visits a season to keep pests away. we can diagnosis most turfgrass diseases and make a recommendation. We feel fungicides are a last resort to controlling diseases so we will recommend the use of cultural practices to control diseases. These cultural practices such as proper mowing, watering, fertilization, and core aeration. Enter your e-mail address to receive landscape and maintenance information and specials.